U.S. military officials in California have conducted a test launching more than 100 micro-drones from three F/A-18 Super Hornets, the largest-ever test for the cutting-edge "swarm" technology, defense officials said. The swarm consisted of 103 Perdix micro drones, which are small, low-cost, battery-powered devices, launched from three separate Super Hornets. The exercise was conducted at China Lake, California, by the Pentagon's Strategic Capabilities Office, or SCO, working with Naval Air Systems Command. The micro-drones demonstrated advanced swarm behaviors such as "collective decision-making, adaptive formation flying, and self-healing," according to a Defense Department statement Monday. Perdix micro-UAV swarm demonstration held at China Lake, Calif. on Oct. 26, 2016. "This is the kind of cutting-edge innovation that will keep us a step ahead of our adversaries. This demonstration will advance our development of autonomous systems," Secretary of Defense Ash Carter, who created the SCO in 2012, said in the statement. The test was conducted in October and aired on Sunday’s CBS News program " 60 Minutes," according to a Defense Department (DoD) press release. Perdix are low-altitude micro drones, capable of autonomously conducting intelligence collection and surveillance operations.
" Due tothe complex nature of combat, Perdix are not pre-programmed synchronized individuals. They are a collective organism, sharing one distributed brain for decision-making and adapting to each other like swarms in nature," said SCO Director William Roper. "Because every Perdix communicates and collaborates with every other Perdix, the swarm has no leader and can gracefully adapt to drones entering or exiting the team." 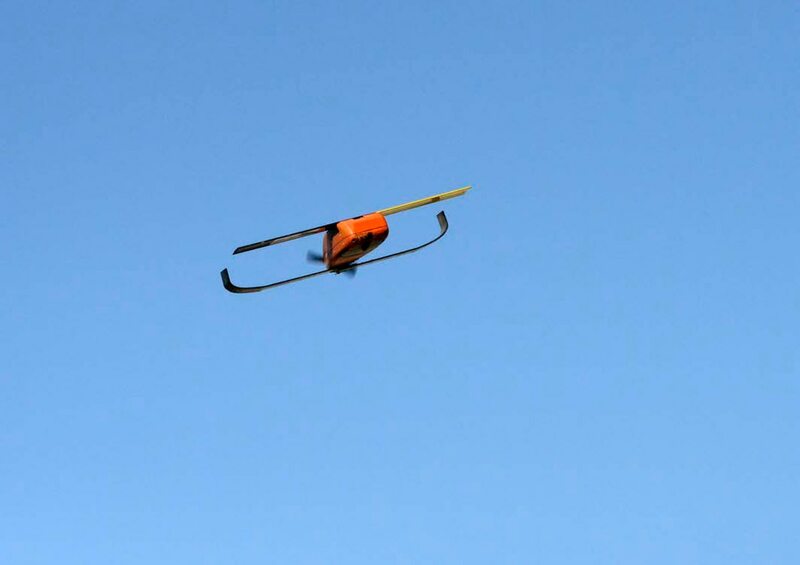 Developed by engineering students at the Massachusetts Institute of Technology in the Aeronautics and Astronautics Department; Perdix drones were eventually modified for military application at MIT’s Lincoln Laboratory in 2013. Previous successful demonstrations have included an air-drop from F-16 flare canisters by the Air Force Test Pilot School at Edwards Air Force Base in 2014; and in 2015, roughly 90 Perdix missions were undertaken during U.S. Pacific Command’s Northern Edge exercise in Alaska, an exercise that witnessed the first successful swarm test of 20 Perdix drones. The SCO plans to partner with the Defense Industrial Unit‐Experimental (DIUx), an organization announced by Carter to promote and facilitate technological development for the U.S. military in 2015, in order to produce a thousand units this year.